It really is possible for parents to give a simple and loving baby massage and incorporate it into daily routine. Massage is relaxing and research has revealed that routine touch and massage is critical to a baby’s growth and development, communication and learning. In this post I am going to share with you some simple and loving baby massage techniques that you can do anytime and anywhere. I hope you and your baby enjoy them. Aside from it being a lovely experience for both myself and Boo (9 months), recent studies show that routine touch and massage can lead to children having an improved cognitive, emotional and social development. Since establishing our daily massage routine, I have also noticed a huge improvement in how Boo will settle down for the night. She seems so much better prepared for sleep and is generally much more relaxed throughout the day. So let me share how to give your baby a simple and loving massage, so you and your baby can experience the love and benefits too. It’s important that your baby is in a happy and alert state. You want the massage to be as enjoyable for both you and your baby, so pick your timing carefully. 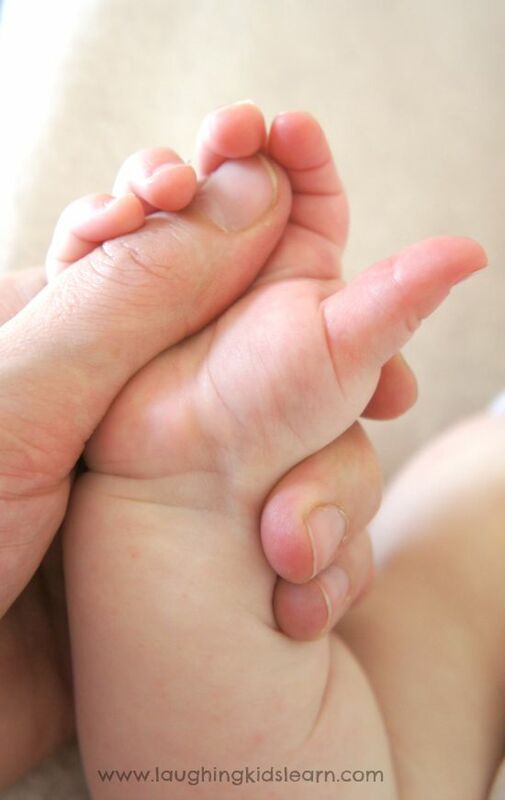 Avoid times when your baby might be feeling unwell, over tired or just not in the mood for physical touch. 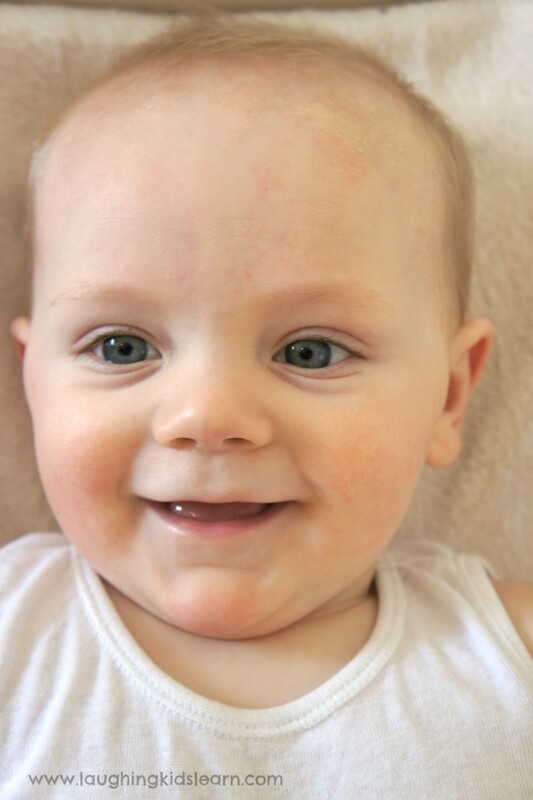 You might like to offer your baby a massage when they have just come out of the bath or woken from a nap. These are ideal times for Boo, however, each baby is different. Your baby is likely to be wearing little clothing, if any at all, and so you want them to feel as comfortable as possible. Consider the temperature of the room and the surface, which your baby is laying on. A warm, soft blanket or towel on the floor might be ideal. Very little is required to give your baby a simple and loving massage. I personally have been enjoying the JOHNSON’S® products and will apply their baby lotion to Boo’s skin during the massage. We love it because it smells amazing (reminds me of my own childhood) and find it very moisturising and soft on her skin. You might find a special unique and organic cream. 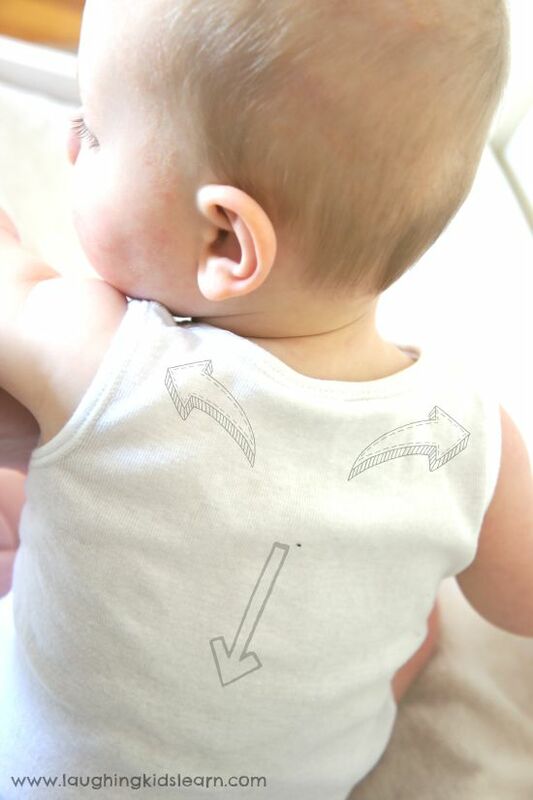 Massage your baby’s abdomen using your fingertips and in a clockwise direction. Gently place both hands in a pray position on your baby’s chest and stoke outwards over the chest and towards the shoulder area. Holding your baby’s feet together, very gently draw the knees to abdomen and hold for a few seconds before lengthening the legs and stroking the tummy. 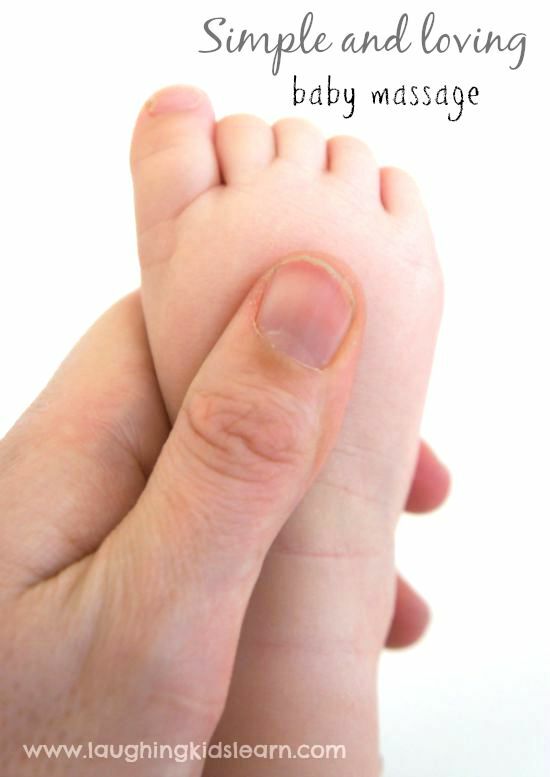 Massage your baby’s palm and fingers with your thumb. Keep the wrist supported too. Gently stroke down your baby’s arm, from shoulder to the wrist. Lightly tap your baby’s arm with a finger to relax the muscle. Stroke down from the hip to the foot using both hands. Lightly squeeze the thigh area and massage over and around the knee area. 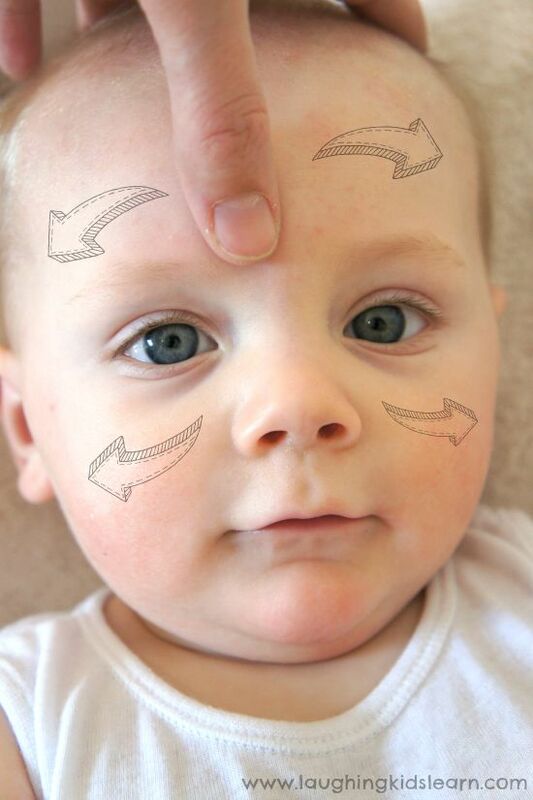 There are so many ways you can give your baby a simple and loving massage. I hope I’ve been able to inspire you to give it a go today and include some baby massage into your daily routine. 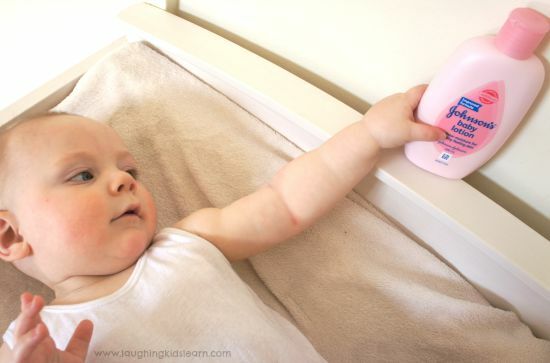 Do you take the time to give your baby a massage? My babies all LOVED to be massaged. Baby massage is so wonderful, isn’t it. We used to do it with our two when they were little. We still do sometimes! 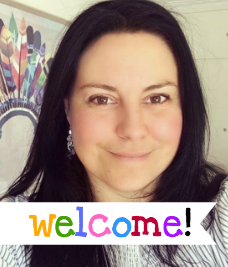 This is an ideal blog for any person who wants to know about massage therapy. The article is good and it is pleasant to read. I know very important things here. Thank you very much for this post!